Make Account - Get ready for start! HELLO EVERYONE ! WE DEDICATED TO MAKE SERVER WIPE AND RENEW SERVER WITH UPDATES AND FIXES ! INVITE YOUR FRIENDS, CREATE YOUR OWN CLANS, AND GET READY FOR FREALLY BIG WAR ! DONT MISS THE CHANCE TO BE BEST OF THE BEST IN GAME ! GRAND START 30 September 2018 Sunday, 20:00 +3 GMT ! !!! YOU MUST DOWNLOAD NEW SYSTEM !!! - All Castle Circlet - Add 100 P. Def. and M. Def. - Crown of Lord - Add 120 P. Def. and M. Def. 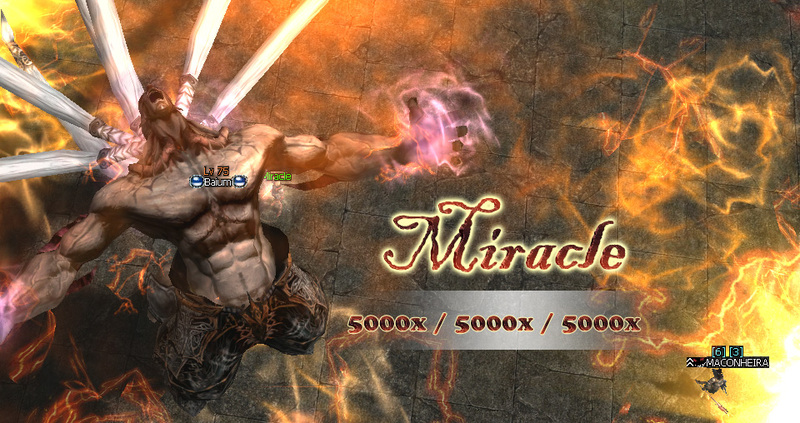 - Wings of Destiny Circlet ( Hero Circlet ) - Add 150 P. Def. and M. Def. * We work everyday to fix all known bugs. Thank you for your trust. 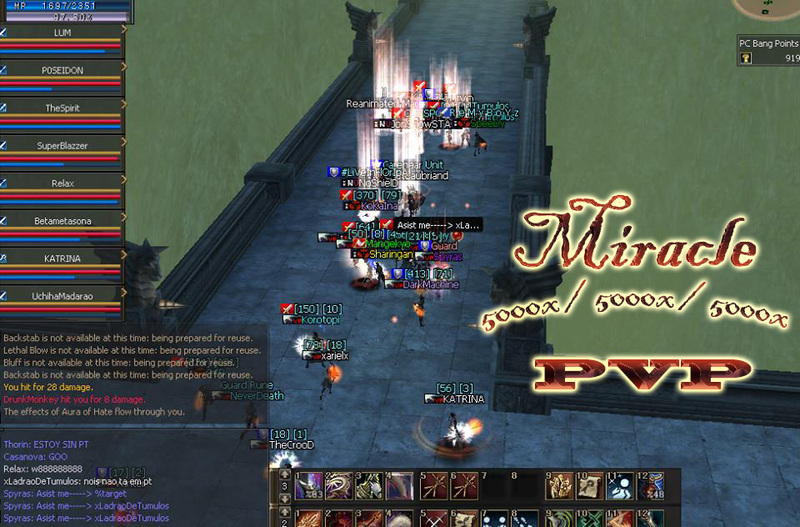 L2 Miracle high rates no custom pvp server opens for you on 30 / SEPTEMBER / 2018. We are waiting for you all. For more information visit features section. Join us and be best of the best P.s Account creation is automatic just enter in game login and password and your account will be created immediately. See you in game ! Dont forget to download server patch 15.0 !